Found on Flickr: The 50th anniversary of Disneyland in 2005 was also the 50th anniversary of Metro bus service to Disneyland. Metropolitan Coach Lines’ “Snow White” bus went into service on Nov. 22, 1955. 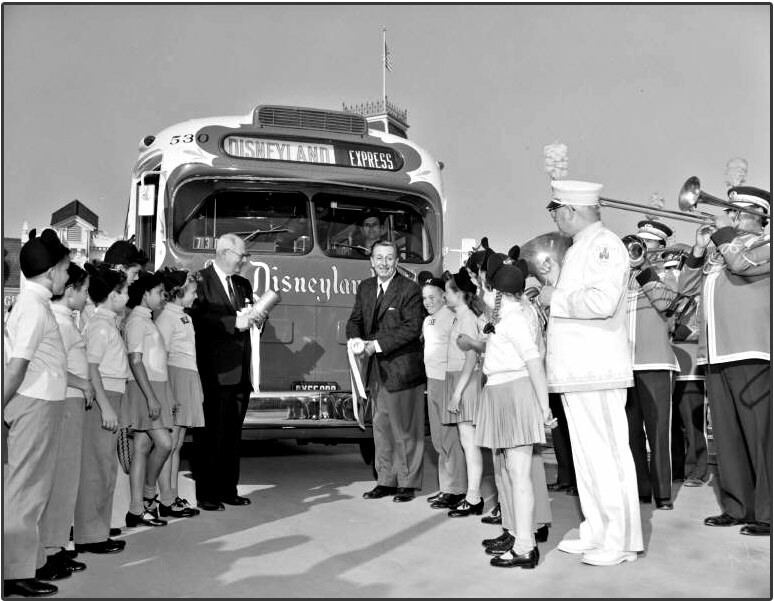 When the inaugural bus pulled onto Main Street in front of Disney’s City Hall, it was greeted by Walt Disney himself, the Mouseketeers and a 16-piece band.